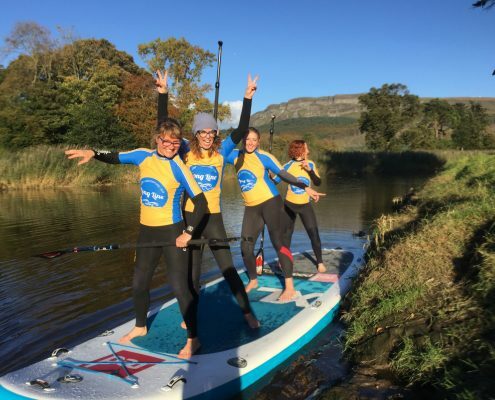 Stand Up Paddle Hen Party is the perfect way to spend time with your friends. Relax and flow with nature at your own pace. This is the experience for the whole “Hen Party” with a number of packages to suit everyone. Enjoy the scenic River Roe overlooking the Binevenagh Mountain Range while learning the skills and techniques in the worlds fastest growing water sport. Create a full day or even a weekend. Add Surfing to the itinerary to experience the full Long Line package.